What Hot Tub Cover Should I Get? When choosing a new hot tub cover, what should you look for? Is the thickest cover the best option, or should you simply look for the largest one to cover the entire perimeter of the tub? Do you want to find the cheapest, or simply look for a cover which is going to last a few years longer, regardless of price? When deciding on the new cover for your hot tub, these are a few things to consider, and some things which will help you in choosing the best covers for your hot tub system. 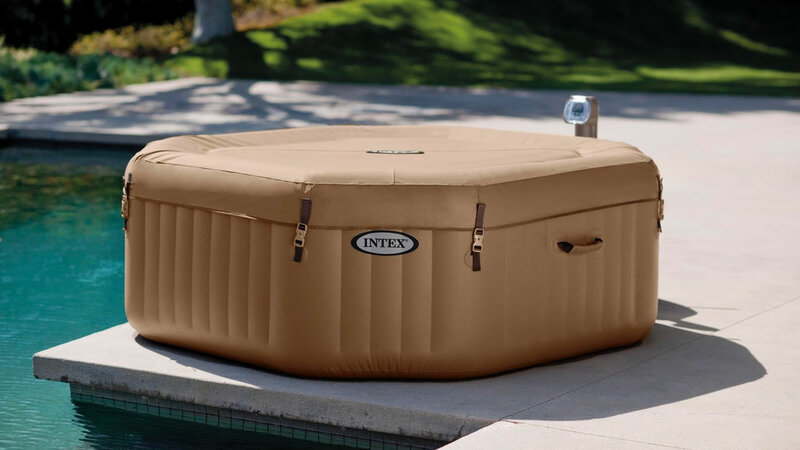 Regardless of the size of your hot tub, or the budget you have set when buying a new cover, there are certain elements and things to consider in choosing a new cover for the hot tub. Not only do you want something durable and well made, but something which offers sufficient protection and built in safety. The foam core is going to make or break the hot tub cover you choose. The core not only provides insulation but protects the actual tub, insulates it, and gives it strength. All of this ensures your hot tub is going to operate efficiently and seamlessly year round. Any foam core cover should provide optimal insulation, to ensure the best efficient operation for your hot tub. A good cover can withstand the many stresses which are caused by weather, the sun, rain, and the elements, depending on where you choose to place your hot tub. 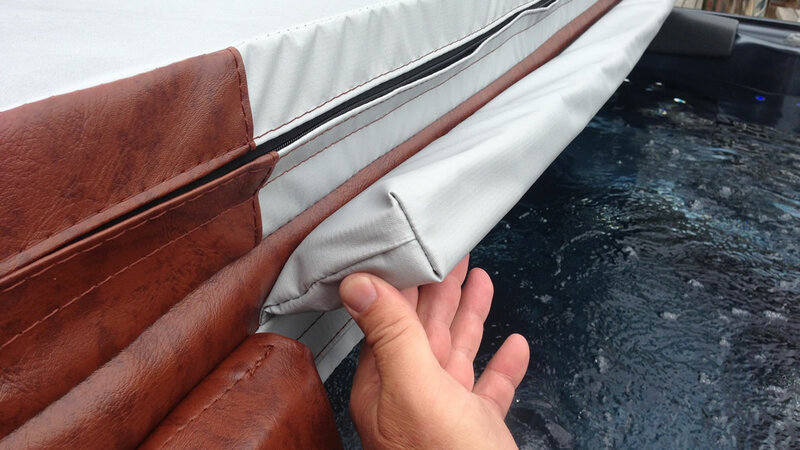 A hot tub cover should be made with durable, marine grade vinyl. 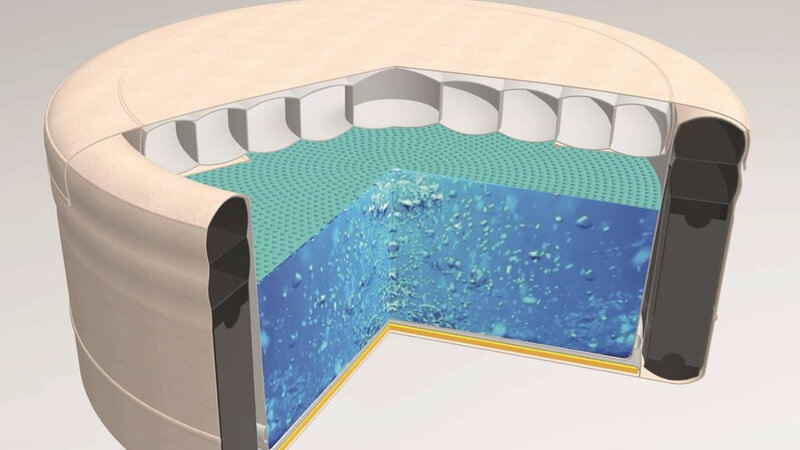 Not only is it thicker than cheaper material options, it is also going to fully protect the hot tub, and ensures mold, mildew, and other potential dangers won’t get under the cover, and into your hot tub. 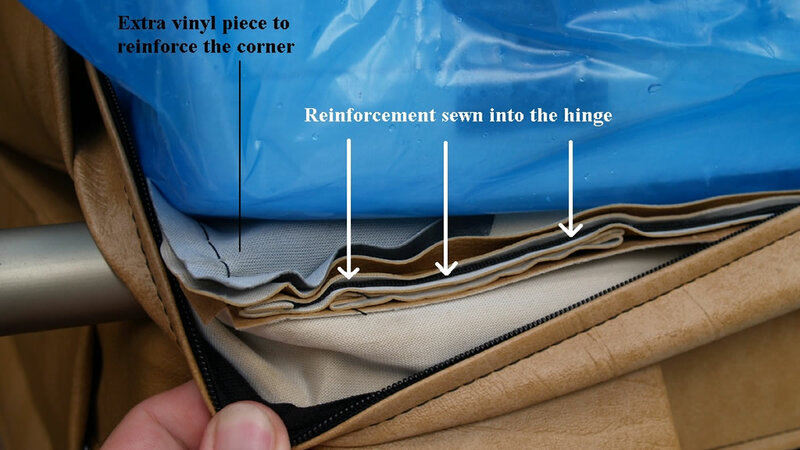 When choosing a cover, you also have to keep in mind the heat seal. The R value should be between 12 and 13 for optimal protection,and to ensure your hot tub is going to operate efficiently when it is on. The heat seal not only protects the tub, it is also going to keep the internal configurations operating properly, and ensure the most efficient operation when you do choose to use it. In choosing a new hot tub cover, you should also consider the safety features which are built in. Tie down straps which are reinforced, hardware with locking keys, and other protective design features should be in place. Not only does this keep the elements and sediment and dirt out of the hot tub, it is also going to ensure the kids do not get in, meaning it is going to create a safer environment when you can’t be outside monitoring the kids all day long.